It has been an extremely busy month since my last post, sadly not all of it radio related. During the Easter holiday I was away in the caravan at a dog agility show in North Yorkshire, camping in the grounds of Duncombe Park just outside Helmsley. When not competing I was able to find some time to operate. Using just an M0CVO Magitenna I had some reasonable low power SSB operation on a number of bands and activated a square for the Worked All Britain Award (WAB) (SE58) and gave some points away during the Polish SP DX Contest. The WAB scheme was something I signed up for last year when I went to Skye but haven’t participated till now. The WAB net on 7.160MHz is a little daunting to listen too but once I jumped in it was relatively painless to activate the square and I plan to do some more when I go back to the Isle of Skye and Islay later this year, but I must improve my portable HF antenna. Over the weekend of the 11/12th April there was another SSTV activation from the ISS in celebration of Yuri Gargarin’s life. 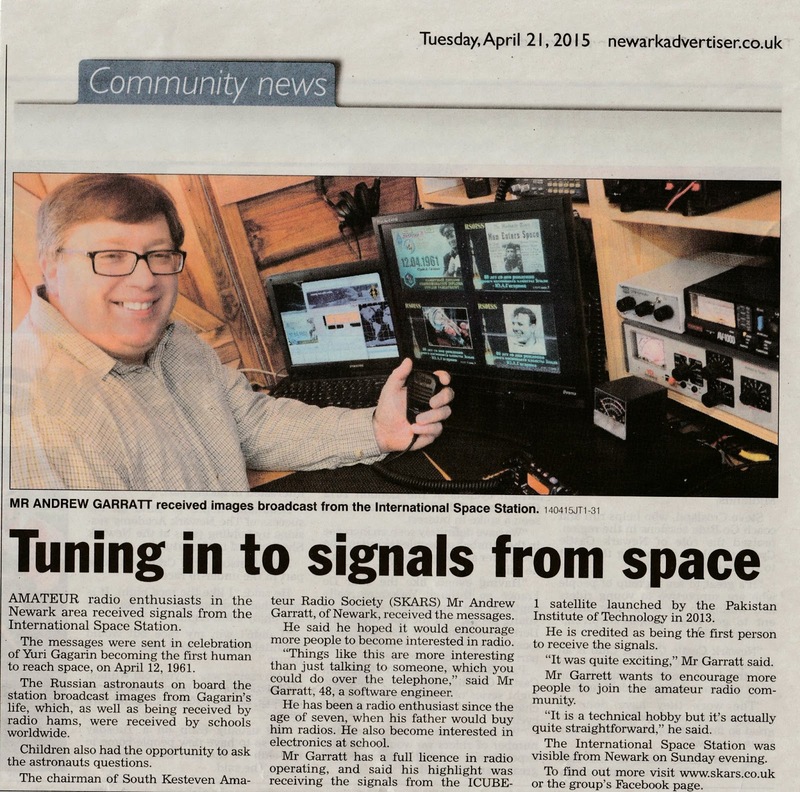 I had some good results decoding images and decided that I’d use it as a way to promote South Kesteven ARS locally and contacted the local newspaper. The Newark Advertiser did indeed feature the story both in print and on their website and they were very good in mentioning the radio society. It was also printed in the sister free paper. 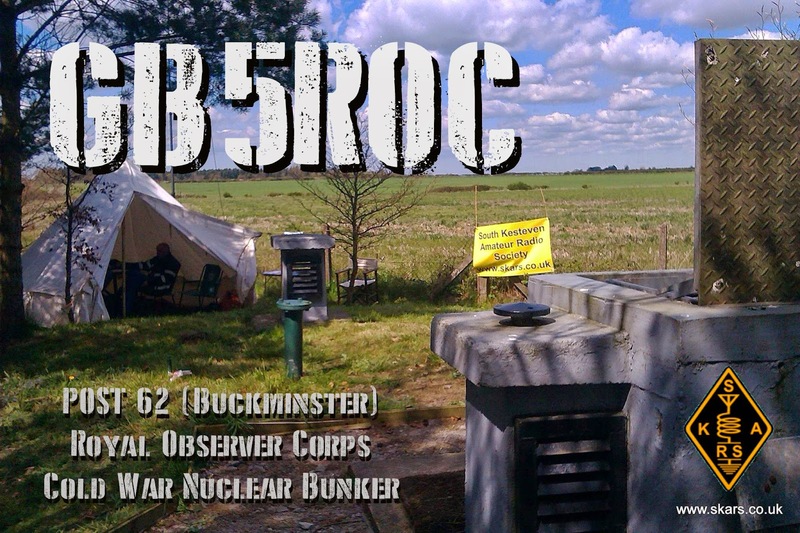 Last weekend I and other members of the South Kesteven Amateur Radio Society operated the special event station GB5ROC at the Buckminster Cold War Royal Observer Corps (ROC) Nuclear Bunker Open Day. Situated on the Lincolnshire/Leicestershire border ROC Post Number 62 is leased to the UP AN’ AT EM! History project and has been restored as a museum and is managed by ​​​Jed Jaggard. The free open day was a rare chance to visit and experience an important part of British post-war history. These bunkers are underground structures found all over the United Kingdom, constructed as a result of the Corps’ civil defence nuclear reporting role and were operated by volunteers during the Cold War between 1955 and 1991. There was a network of over 1500 such monitoring posts around the UK designed to detect nuclear detonations and monitor blast and subsequent fallout and radiation levels should an attack take place. Thankfully they were never used and the last of the posts were closed in 1991 when the majority of the ROC was stood down following the break-up of the Communist Bloc. Many have been demolished, fill in or adapted to other uses but the majority still exist, although in a derelict condition. During the open day visitors had the chance to climb down into the bunker so for reasons of practicality SKARS operated GB5ROC from a tent close to the bunker hatch. 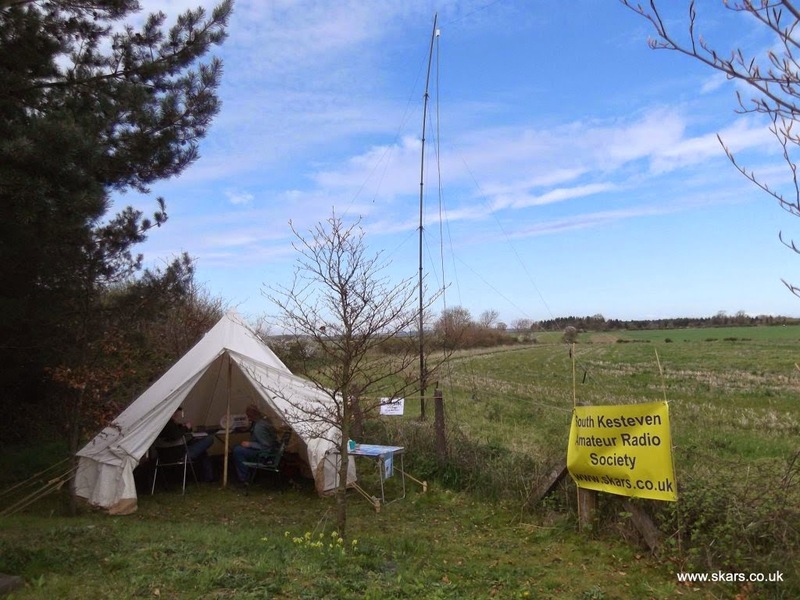 Along with Stewart Mason (M0SDM) and Sean Burton (2E0ENN) we operated on 40m from 10:00 till 16:30 BST and made a total of 151 contacts mostly UK operators with a number of European stations. 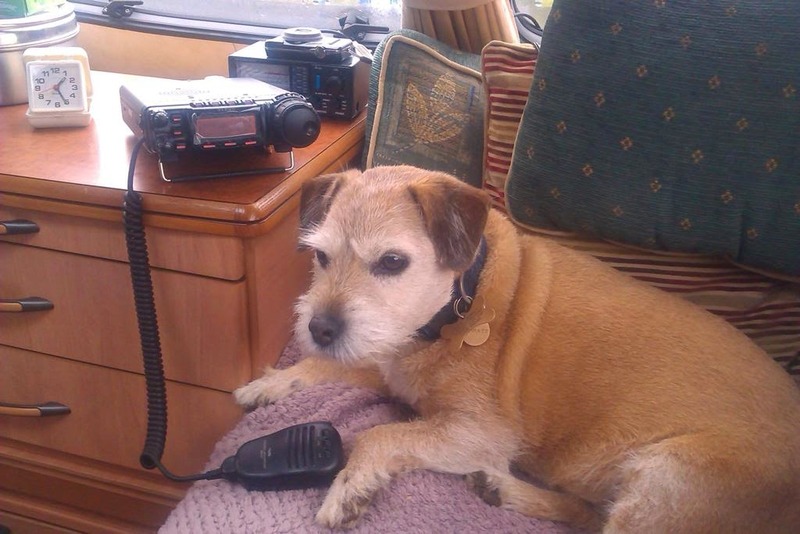 Equipment was supplied by Stewart who did the majority of the operating and consisted of a Yaesu FT-897D at 100W feeding an off centre fed dipole at around 30ft on top of a Racal push up mast. Stewart also provided a new club banner. 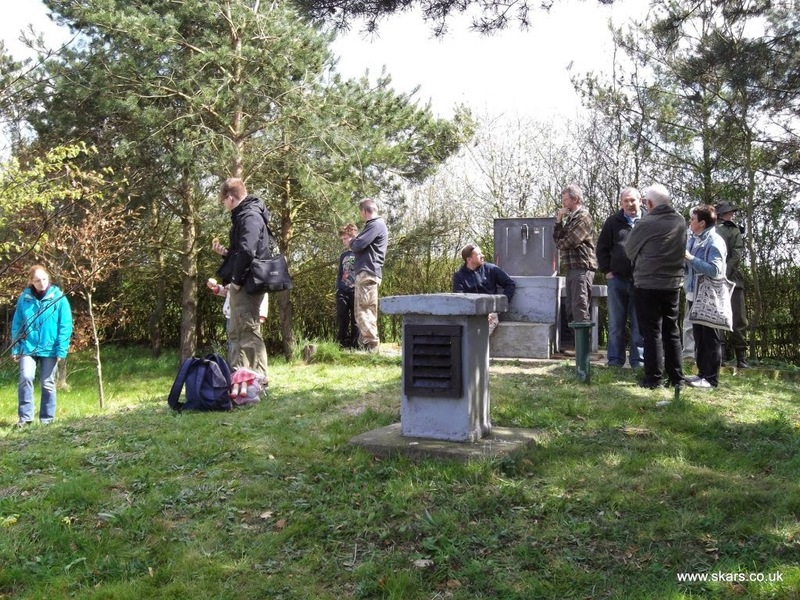 The open day was very well attended and a number of local and not so local amateurs (one visitor from Australia VK4UA ) came along thanks to the publicity the event had received on Facebook, Twitter, GB2RS and the Southgate ARC newsfeed. It was great to meet up and chat. Encouragingly members of the general public were keen to learn what amateur radio was all about and they were able to take away a number of leaflets with information about the hobby and contact details for SKARS. It was an excellent day all round with the operators have a fun time and gaining useful experience of operating a pile-up. The weather was kind with blue skies and sunshine. Hopefully it will become a regular activation at future bunker activations. 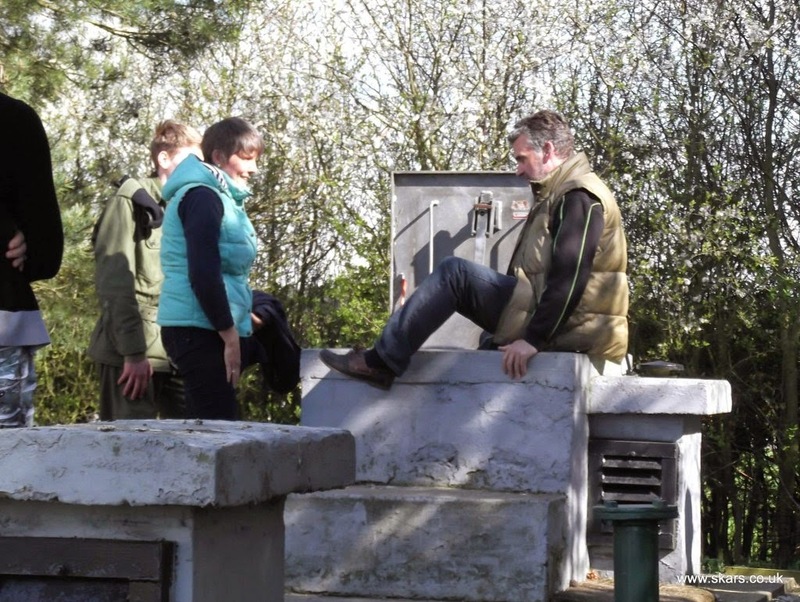 The video below Stewart operating Richard M6GPT who had tried most of the day to make contact and was successful just before the station was closed down. SKARS member Mark (M0OBL) had monitored GB5ROC and made a video of his Elecraft K2 receiving us load and clear. 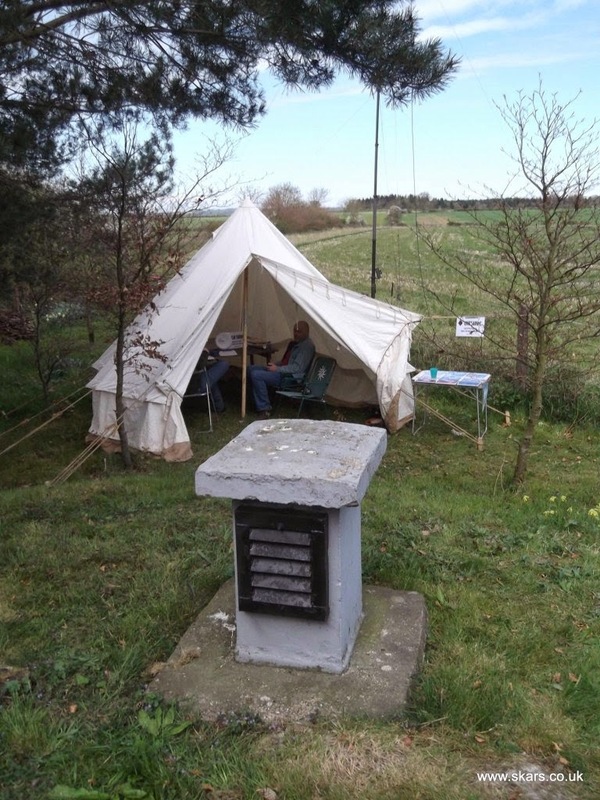 Update, the visit of VK4UA to GB5ROC wasn’t due to any publicity or advertising – it was simply because Stewart had his van parked on the verge with his callsign clearly visible and he was visiting the area – the simplest ideas are the best it seems!